The above products are recommended for installation or mounting of the 6210 Returned End Handrail. Returned End handrail has attached Returned End Fittings on both ends. Use handrail brackets to attach your handrail to the wall. 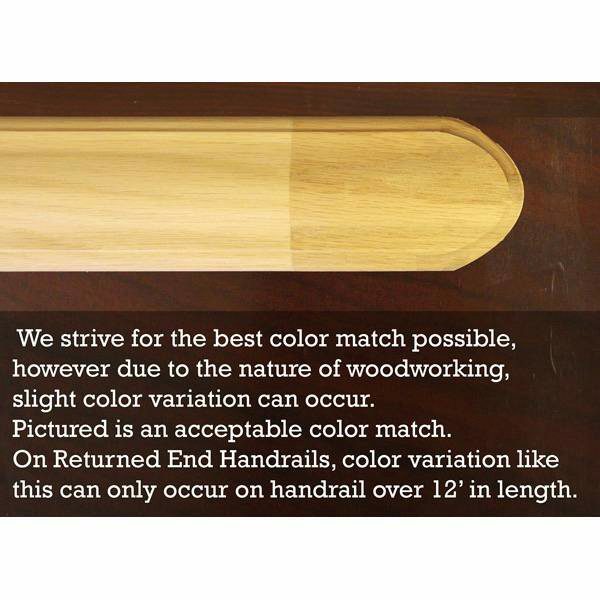 On handrail over 12 feet in length: The proper manufacturing process calls for some color and grain variation between the handrail and the returned ends (view additional image on the left for example). 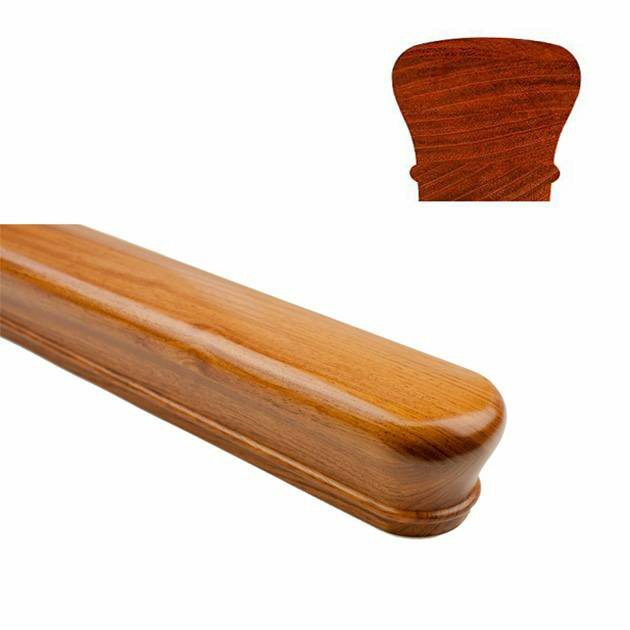 6210 Traditional Handrail is 2 3/4” at its widest point & 2 3/8” at its tallest point. 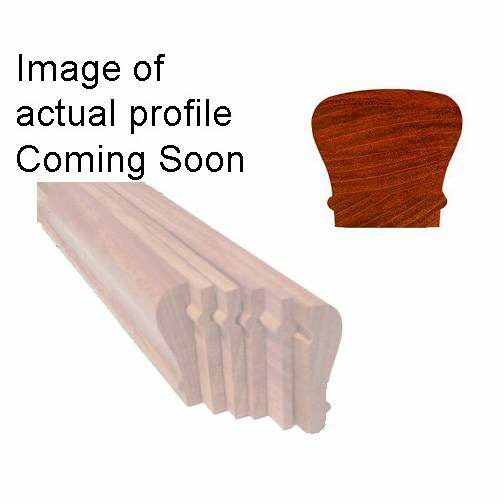 The 6210 can accept wider plows for 1 3/4″ square top balusters. 6210 is very strong which is excellent for commercial applications. Make any shorter than 3 ft? I need two rails each 8 inches long. We are able to make shorter pieces. However, we cannot put any wood less than 3′ long into our moulder. If you call in and place your order, or leave your length requirements in the “customer notes” section before checking out online, we can cut a 3′ piece down after it is done in the moulder. The cost would be the same as that of a 3′ piece. Please let us know if you have any additional questions.